Huron Capital has made an equity investment in WD Lab Grown Diamonds, a producer of large, ultra-high-quality laboratory grown diamonds for the jewelry, scientific and industrial markets. WD Lab Grown Diamonds (WD) holds an extensive portfolio of exclusive global licenses with the Carnegie Institution of Washington centered on the patented chemical vapor deposition (CVD) process and other methods to grow diamonds. Lab-grown diamonds and mined diamonds have the same optical, chemical and physical properties, leaving their origin as their only difference. 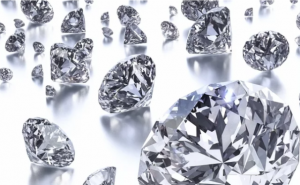 Additionally, lab-grown diamonds can be made on demand, in a matter of weeks, and they cost an estimated 10% to 40% less than a gem that comes out of the ground. In July 2018, the US Federal Trade Commission released its Revised Jewelry Guides, leveling the competitive landscape for the sale of lab-grown and industrially-mined diamonds to consumers. Carnegie Institution of Washington (AKA Carnegie Institution for Science) was founded by Andrew Carnegie in 1902 as an independent research organization dedicated to increasing scientific knowledge. Today, through six scientific departments located on both the East and West Coasts, Carnegie investigators are active in the fields of plant biology, developmental biology, earth and planetary sciences, astronomy, and global ecology. The group is led by President Eric Isaacs and is headquartered in Washington DC (www.carnegiescience.edu). With the transaction closed, WD is now jointly owned by WD founder and CEO Clive Hill, CTO Yarden Tsach, Huron Capital, The Carnegie Institution of Washington (a shareholder in WD since 2011) and other members of the WD management team. 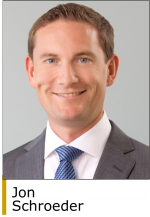 Tree Line Capital Partners, which provided debt to support this transaction, also made an equity co-investment. WD produces some of the highest quality CVD diamonds in the gemstone market. In May 2018, the company produced the world’s largest known gem-quality lab-grown diamond to date in a matter of months, compared with the billions of years it can take diamonds to form in the earth. 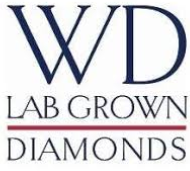 WD was founded in 2008 and is headquartered near Washington DC in Laurel, MD (www.wdlabgrowndiamonds.com). Huron Capital is an operationally-focused private equity firm that makes control and non-control investments in companies with revenues of $20 million to $200 million and EBITDAs of $5 million or more. Sectors of interest include business services, consumer goods & services, and specialty industrials. 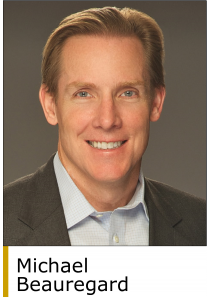 Founded in 1999, Detroit-based Huron Capital has raised over $1.8 billion in capital through six private equity funds and invested in over 150 companies (www.huroncapital.com). “We believe WD’s exclusive technology and manufacturing capabilities place the company at the forefront of one of the fastest-growing segments of the diamond industry,” said Michael Beauregard, a senior partner at Huron Capital. 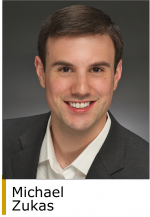 “Tree Line is thrilled to have completed our second deal with the team at Huron Capital and are excited to partner with the WD management team,” said Jon Schroeder, a managing partner of Tree Line. “The investment in WD highlights Tree Line’s ability to efficiently underwrite a business and tailor a debt solution that provides access to follow-on capital to drive growth through our committed delayed draw facility feature.” Tree Line provides first lien term loans, unitranche term loans and equity co-investments to lower middle market borrowers that have from $3 million to $30 million of EBITDA. TM Capital (www.tmcapital.com) was the financial advisor to WD in connection with Huron Capital’s investment.